$5.00 for a package of 25 leaflets. 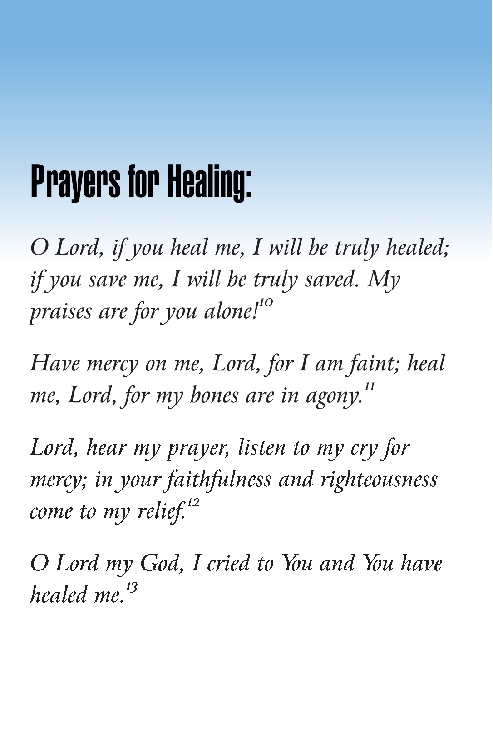 A Prayer Guide for providers of preventive, curative, promotional or rehabilitative health care services to individuals, families or communities. 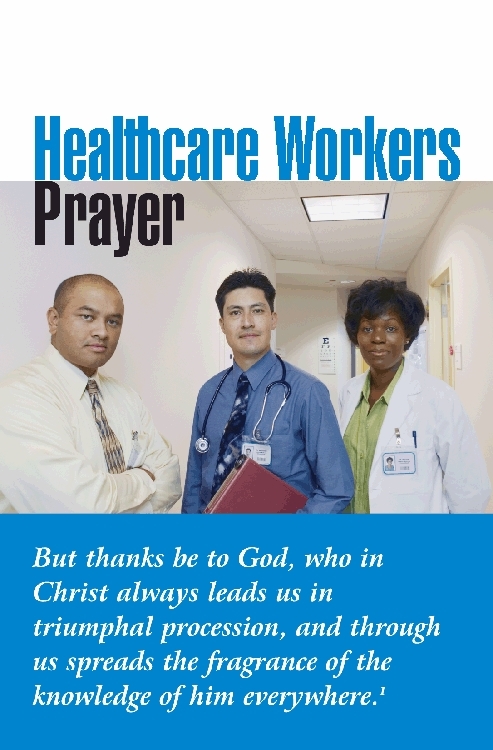 Endorsed by the Nurses Christian Fellowship of Canada. Aqueous coated for maximum durability.